He was shot at Sainsbury’s car park in Bangor yesterday afternoon. POLICE INVESTIGATING THE murder of a man who was shot in a supermarket car park in front of his three-year-old son are appealing for information about the victim’s car. Senior Investigating Officer Detective Supt Richard Campbell said described the shooting of James Colin Horner, known as Colin, as a “hugely barbaric act and something that will undoubtedly live with this young boy for the rest of his life”. The Belfast Telegraph reported that Horner was a well-known loyalist and friend of South East Antrim UDA boss Geordie Gilmore, who was also murdered in March. The PSNI says that it will be seeking to take statements from the many witnesses who were at the scene and are urging them to contact police. 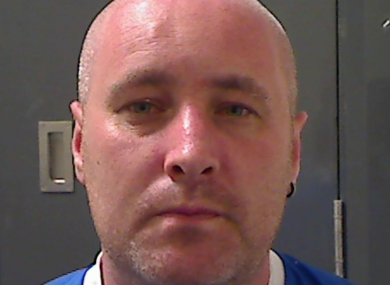 Campbell made a specific appeal about the vehicle Horner was driving when he left his partner’s home in the Balloo Road area of Bangor at around 1.30pm. He was driving a black Nissan Pulsar car, registration XFZ 4706 and arrived in the car park around 2.30pm. Campbell said, “I am keen to trace his movements during that one hour period. I am also keen to establish the movements of a red Ford Mondeo car which was seen speeding away from the scene around 2.50pm just after Mr Horner was shot. I believe one of its occupants was wearing a dark hoodie type top mask with possibly a dust mask covering his face. “This vehicle bore the registration GKZ 7996 but we have established these were false number plates. It was later found burnt out at Kerrs Road, in the Six Road Ends area of Bangor, close to a local equestrian centre. “There may have been another vehicle which ferried the gunman and his accomplice away from Kerrs Road. I need help to establish what that vehicle was. This was a totally reckless attack in the middle of a busy shopping area on a bank holiday weekend. We know at least three shots were fired with a stray bullet actually hitting another vehicle in the car park. “Anyone with information is urged to contact detectives in Bangor or anonymously through Crimestoppers on 08 00 555 111”. Email “Police want information on where known loyalist was before he was shot dead in front of son (3)”. Feedback on “Police want information on where known loyalist was before he was shot dead in front of son (3)”.